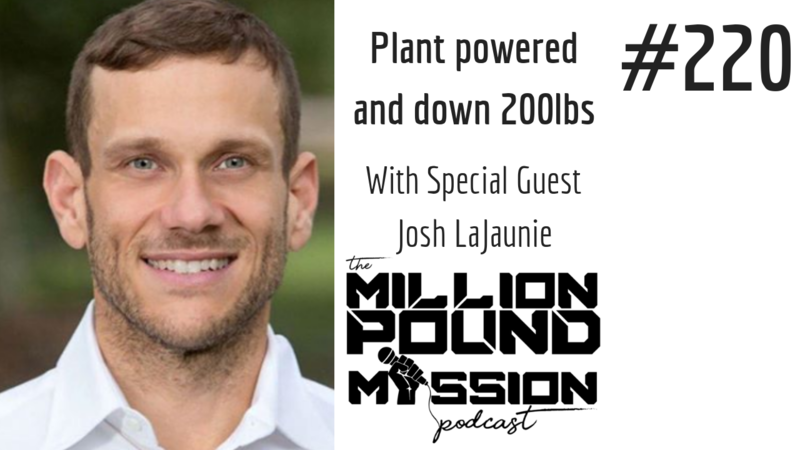 I always love it when I get a chance to speak to someone that is totally ON FIRE and this week I'm going to introduce you to my friend Josh LaJaunie who is absolutely CRUSHING IT with his transformation journey. Can you imagine how you would feel if you stepped on a scale and it just read ERROR? That is exactly what happened to Josh and that was the moment that he decided to change his life. Now he's plant powered, down over 200lbs, and he's formed a slight addiction to doing marathons and endurance races. What went through his mind when he stepped on the scale and it said ERROR due to how much he weighed. The difference between his game plan he used to lose his first 100lbs compared to his second 100lbs. Why he decided to go vegan. What keeps him motivated so that he will never gain his weight back. I would love to connect for a FREE 15 minute strategy session!